There is excitement on the air! This week sees Alan Haber’s Pop Tunes Deejay Show and Pure Pop Radio: In Conversation debut on Pop that Goes Crunch Radio. Don’t miss a minute of the fun: Alan Haber’s Pop Tunes Deejay Show (Tuesdays and Thursdays at 8 pm ET), and Pure Pop Radio: In Conversation (Wednesdays at 9 pm ET). Pure Pop Radio’s signature shows, Alan Haber’s Pop Tunes Deejay Show, playing the latest and greatest melodic pop songs from today and across the decades, and Pure Pop Radio: In Conversation, the premiere Internet melodic pop talk show, air weekly on Pop that Goes Crunch Radio. Listen to the Pop Tunes Deejay Show on Tuesdays and Thursdays at 8 pm ET (two different shows every week); In Conversation airs every Wednesday night at 9 pm ET. Don’t miss a minute! Your Official Pop Tunes Deejay Show Track List is Here! 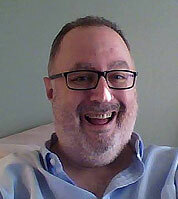 We’re continuing to throw a party every Monday night on Alan Haber’s Pop Tunes Deejay Show. Did you hear show seven last night? If you missed it, or want to hear it again, you can listen this Thursday at noon ET (9 am PT) and this Sunday at 3 pm ET (noon PT). Set Two: Rolling Stones Now! The Rolling Stones | “I Wanna Be Your Man” from GRRR! There you go…Pop Tunes, show number seven, is in the can. We hope you enjoyed it. You can listen again this coming Thursday, September 24 at noon ET (9 am PT) and Sunday at 3 pm ET (noon PT). We’re taking the next couple of weeks off–the next new Pop Tunes show will air on Monday, October 12. Until then, pop happy! 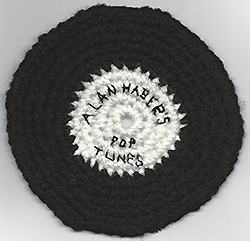 Alan Haber’s Pop Tunes is a cool deejay show playing the greatest melodic pop music from the ’60s to today. The show airs every Monday night at 9 pm ET (6 pm PT) on Pure Pop Radio, and repeats on Thursday afternoons at noon ET (9 am PT) and Sundays at 3 pm ET (noon PT). Please like us on Facebook by clicking here. Listen to Pure Pop Radio on the go using your Android or iOS devices! Download Our Mobile App. We’re Spinning New Platters that Matter. It’s Pure Pop Radio’s New Music Wednesday ! 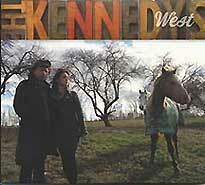 The Kennedys | West Pete and Maura Kennedy have come up with what we believe to be their best work yet. As we said in our review of this outstanding album, “West is a journey taken along purposeful roads; it is a journey worth taking again and again.” (If you missed Alan’s review, click here.) We’ve added 11 songs from West: the title track, “Elegy,” “Sisters of the Road,” “Signs,” “Jubilee Time,” “Locket,” “Southern Jumbo,” “Travel Day Blues,” “The Queen of Hollywood High,” “Perfect Love,” and “Good, Better, Best.” You should add West to your music library today. File under Perfection. 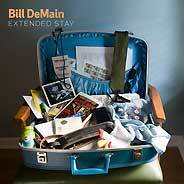 Bill DeMain | Extended Stay Of course, everyone, including you, knows Bill’s work as one-half of the great duo Swan Dive. 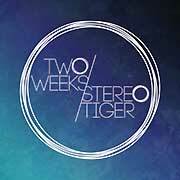 But did you know that last year he released a masterful six-song EP called Extended Stay? Well, you do now. These pure pop gems are masterpieces of melody that will put a big smile on your face. From the lovely “Honeylove” to the Randy Newman-as-Harry Nilsson slice of joy, “In Your Letter” and the all-Nilsson-esque, clever love song, “Raggedy Man,” this is a hall-of-fame worthy recording. Bill’s sweet voice makes these songs come alive–each one is a joyous celebration of the purest pop. Your music collection is quite simply not complete without this one. 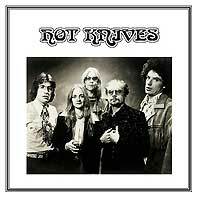 Hot Knives | Hot Knives Another gem from Got Kinda Lost records (we added songs from their Promise album last week), this collection of single tracks and previously-unreleased material from the seventies is another great find. A mix of pop and rock, Hot Knives features terrific harmonies reminiscent of the Association, the Mamas and the Papas and Jefferson Airplane (yes, you read that correctly). Great melodies, too. We’re playing four songs in rotation: “Sooner or Later,” “Lovin’ You,” “I Hear the Wind Blow,” and “Winter’s Come.” Great stuff. Daniel Wylie’s Cosmic Rough Riders | “Another Wasted Day” We’re always up for a new slice of melodic wonder from Daniel Wylie. 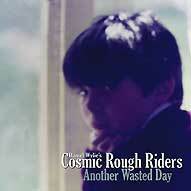 Now billed as Daniel Wylie’s Cosmic Rough Riders, the band has delivered another great tune in “Another Wasted Day.” Jangly and catchy, it’s from the forthcoming album, Chrome Cassettes. We can’t wait. 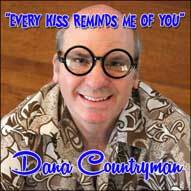 Dana Countryman | “Every Kiss Reminds Me of You” It has become regular practice around these parts to add a new or new-to-you song from one of our most favorite pop practitioners every time we post one of these station updates. Another new song from the forthcoming album Pop3! Welcome to my Time Warp!, this retro, hooky and genuinely wonderful song sounds like an outtake from the 5cc years of 10cc, a very good thing! Featuring guest turns from Dee Long (Klaatu), who plays electric guitar, and Pure Pop Radio fave Matt Tyson, who sings on the fade, this is another keeper from the one of our favorite wizards of wonder. Now playing in rotation. 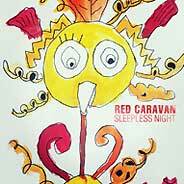 Red Caravan | Sleepless Night Red Caravan, aka Pete and John Carr, are making some cool sounds down under. The first fruits of their recording labors, “Sleepless Night” and “If I Return,” are electrically charged and pretty, acoustic melodic wonders, respectively. An album is on the near horizon. We await its debut. Meanwhile, here are two great songs now playing in rotation. 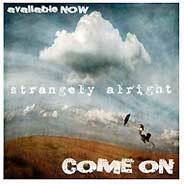 Strangely Alright | “Come On” The latest release from Regan Lane and company is a propulsive pop song with a great, catchy melody and an in-your-face vocal. “Come On” pushes our buttons, most assuredly. That’s it for today. We love bringing you new songs and artists to savor! More new adds to the playlist coming soon. See you on the radio! 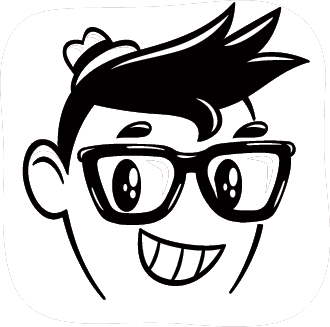 Click here to download our app for listening on the go with Android and iOS devices!